This is a guest post by Vincent D'Eletto, founder of Word Agents. 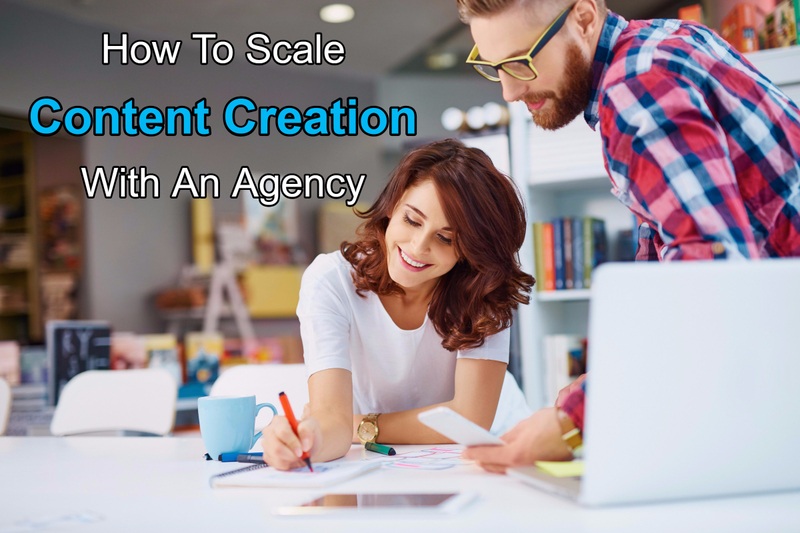 What is a Content Creation Agency? If you’re the owner of a revenue-generating niche website, chances are that you entered the world of digital marketing because you were fed up with the rat race and genuinely wanted to forge a new path. Your “A-Ha!” moment was likely one of a few catalysts that most digital marketers seem to follow. Maybe you searched for “how to make money online” and found a site like Fat Stacks Blog. Perhaps you worked at a traditional marketing firm and stumbled upon the world of project-based digital marketing services. Personally, my moment came shortly after reading the book “The 4-Hour Workweek” by Tim Ferriss. It motivated me like nothing else has before and drove me to find a new direction. I too was mightily inspired by Tim Ferriss iconic book, which opened my eyes to the possibility of creating a scalable digital business. This book, while several years old, is still relevant in many ways today. I still recommend it. Fast forward a few months and I was building my very first niche website while sprinting towards my very first monetary goal of $100 of revenue per day. At that point in my life, the thought of making $3,000 a month from my spare bedroom seemed like a pipe dream. It didn’t appear possible that someone could make a full-time living from creating informational websites. Regardless of how implausible it appeared to be, I pushed forward. ● earning relevant backlinks from related sites that would help me gain better rankings on the search engines. Week after week, I chipped away at the mountain of work until my site finally reached my modest goal of $100 per day. It wasn’t until I had a revenue generating website that was making several hundred dollars per day that I realized I had an all-new problem to resolve. I had no idea how to scale. My little experiment had transitioned into a full-fledged business and it needed to be fed daily. It’s diet included a heavy dose of both content and backlinks. There weren’t enough hours in the day to handle all of this in addition to link building and other general business tasks. I tried to stick with the writers I was using from content marketplaces and freelancer websites, but I just couldn’t seem to find anyone that understood our goals and could engage our audience. It was time to step up my game and outsource content creation to an agency so that I could focus on higher-level business tasks. I needed to work ON my business instead of IN my business. A content creation agency is an extension of your business, plain and simple. They find, hire, train, and manage teams of writers so that business owners can focus on growth and hitting their goals. Instead of having to manage your own team of writers (each with their own “unique” personality and availability), an agency will provide you an account manager that acts as a single point-of-contact for all of your content creation needs. Your account manager will work hand-in-hand with you to understand your goals, assign capable writers to your team, develop a brand voice, and directly address the pain points of your target audience. Scaling your revenue-generating website with a content creation agency is all about being organized. Here is a process that I used on a niche website that I sold for several hundred thousand dollars. I recommend this process to all of our clients. The first step of the process is creating your content strategy. It should have a clear goal with defined timelines. This will act as your blueprint for all of your content going forward. ● Brand - what is your website and business all about? What is your voice? ● Audience - who is your demographic, and what do they need solved? ● Keyword Inventory - what keywords are you targeting to gain more exposure? ● Competition - who is fighting for the same target audience, and how are they approaching their content? The answers to these questions will help you understand your business at a much deeper level, uncover key deficiencies that need to be addressed, and develop the types of content you will need (blog posts, website content, white papers, press releases, product / service reviews, etc). Content briefings are important when ordering a lot of content. Once you have clear "content templates" it makes it very easy for your content team to be consistent and deliver what you're looking for. In fact, one approach I take with my niche sites is to focus on publishing 3 to 5 different types of content, each type being similar so that I can quickly instruct trained writers simply by giving the topic and the type of content. Of course, this brevity of instructions is only possible once your writers are familiar with the types of content you like. Now that you have a clear understanding of the different types of content that you will need to execute your strategy, it’s time to create your briefings. A content briefing is what you provide to your account manager that explains everything they would need to know to create a great piece of content. I typically suggest creating a briefing for each type of content that your content publishes. Your agency can keep these on file so that all you need to do is send over a few article-specific guidelines for each individual piece. For example, I would create a “Blog Post Briefing” for the agency that will apply to any blog post that is published on my site. Then, any time I need a new blog post, I can just send the agency a working title, target keyword, and a few notes. I don’t need to reiterate the instructions for each new article. ● Content Type - is this for a blog post, review, product description, press release, or white paper? ● Title Guidelines - how should the title be crafted? ● Word Length - how many words should the piece of content include? ● Keywords - what keywords and phrases should this piece of content target? ● Tone - should the content be written in a friendly, conversational second-person point of view; or a professional third-person point of view? How should we integrate your brand voice? ● Angle - who is the audience for this piece of content and how should we craft the piece to address their pain points? ● Hyperlinks - should we be including outbound & internal hyperlinks? ● Formatting - how do you like the content to be outlined? Should HTML headings be used? What about other types of formatting? ● Examples - is there another piece of content on this topic that displays what you’re trying to achieve? ● Resources - are there any sites, publications, or documents that you can provide to help the writers along? ● Notes - is there anything else the agency should know about this piece? You should create a briefing like this for each individual type of content you plan on publishing. It may seem like a lot of work, but it’s mostly front-loaded. Once you create the briefing - you won’t have to create another one for quite some time. With all of the “on demand” content services out there, it’s easy to get sucked into ordering content all willy-nilly with no idea of how it’s affecting your bottom line. In order to properly track ROI and the effectiveness of the content creation agency, you need to have a clear budget in place for your content orders. Your budget will be determined by how often you need to publish content, the level of service required, and the goals you’re trying to reach. To work with a content agency, you should have a minimum content creation budget of $1000 per month, and be ready to commit to a minimum of 3-months with the agency. Remember, the goal of working with an agency is to get on the same page with your account manager so that you can grow your content efforts quickly and efficiently. This is not always possible if you only have the budget to order an article at a time. My aim is that "organic search" intended content will pay for itself in 6 months. After that it's all profit. For social/viral content, I like it to pay for itself in a month or two. If it develops organic search legs, that's all the better. FYI, due to lower organic reach on Facebook, it's harder these days to generate sufficient traffic immediately to pay for a piece of content... but it was a good strategy a few years ago. The key here is to carefully analyze what types of content and topics tend to generate the best ROI. This is why I routinely analyze best performing posts in Analytics so that going forward I focus on publishing content that has the best chance of generating the a decent ROI. Once you have created your strategy & briefings, and have come to terms with your new agency, it’s time to place your initial order. I typically start with a small order of 5 articles that all follow a single content briefing. The main purpose of this initial order is to see how the agency is interpreting your briefings and if there are common issues across all of the articles. Once you receive this initial delivery and have the time to review it, you will want to schedule a quick meeting with your content manager to address both the positives and negatives of the first order. This meeting is your chance to coach your account manager on your brand voice and to update anything in your briefing that could be made more clear. Remember, you’re the only person that fully understands your vision. It’s up to you, the business owner, to properly coach your new content team. Assuming everything went well with the test order and you’ve hired the agency to execute your content strategy, the only thing left to do is schedule regular review meetings with your account manager. Keeping the lines of communication open and being transparent about your needs and wishes is the easiest way to successfully execute your content strategy and reach your predefined goals. If you have reached the point in your niche websites lifecycle that demands a content creation agency be brought on board, you’ve overcome some big hurdles. Not many people have the fortitude to accomplish what you have already accomplished. Now it’s time to create a strategy, briefings, and budget so you can bring in an agency. Get to work! Thanks for having us, Jon! Will be monitoring the comments to answer any questions your readers may have. Thanks for contributing Vin. Great article. Vin. Just FYI. On your about page you have your email address as [email protected]. That email address is invalid and bounces back. Do you have some more information on your pricing works? Can’t seem to find a pricing page? Last I recall their price was 4.5 cents+ for writing. It that the going rate you pay ? What is rate for researched “best of” review type of posts? It’ll cost more than that for quality writing. If you don’t care too much about quality, you can get away with $.02 to $.05 per word.